Commissioner Northern Jovesa Vocea and his team are monitoring the dry spell affecting the Northern Division. About 22,500 people in the division are affected by the dry spell. Mr Vocea said their Divisional and District Operation Centres were monitoring the situation and delivering water to affected areas. “The operation in the Northern Division includes cartage of emergency water by trucks to areas accessible by roads and also by boats using the MV Vunilagi for maritime islands and those areas that are not accessible by roads within the division,” Mr Vocea said. He said requests for assistance continued to be received by the Emergency Water Operation Centres (EWOC) despite some parts of Vanua Levu experiencing brief showers this week. He said about $220,000 had been used to distribute water in areas affected in the North and maritime islands. “The emergency water operation centres in the North will continue to respond to request from schools within the division. 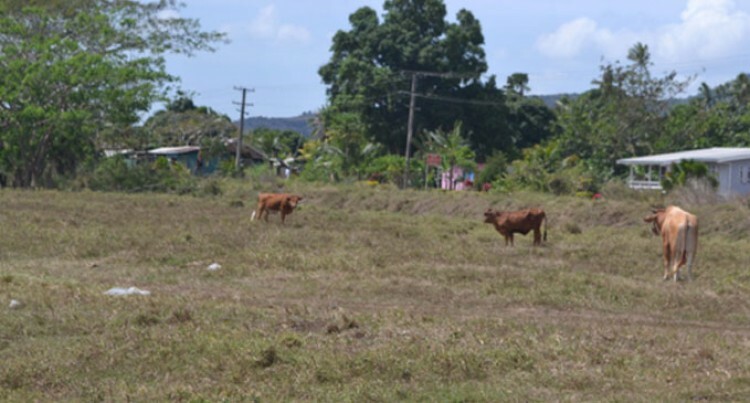 Principal agriculture officer northern John Cox said situations in the North were not favourable. He said some farmers had resorted to creeks and rivers to water their farms. “In the Cakaudrove Province, there is no drought effect on crop and livestock,” Mr Cox said. He said the El Nino affecting the Fiji Group would see water level reaching critical level. Meanwhile, the Water Authority of Fiji (WAF) revealed that intakes levels at dams and reservoirs have been fluctuating because of below average rainfall in the division this month.